This has been a successful competition car with many class wins in Finland as well as abroad. It is in full compliance with FIA regulations and is ready to race, seats and belts might need updating depending on the regulations where you race. Last time it was used in competition was on 7.7.2018 at the Orimattila-Ralli here in Finland, rank Class 4th. After the rally it had a service and the main engine bearings replaced. 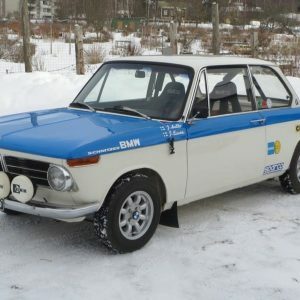 This Skoda 120LS FIA Historic rally car is in Finland and can be shipped worldwide, please ask for a price. FIA – Historic Pass, Period G2 (1970 – 1971), Class CT18.